You’ll Never Believe Who Turned 90 This Year – And We Can’t Pronounce Her Name Correctly! 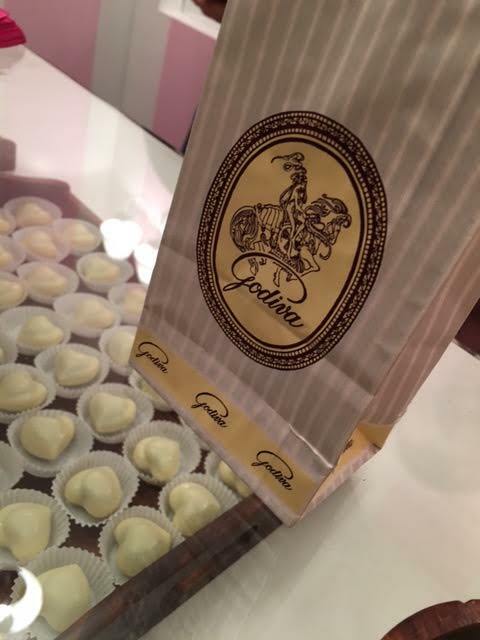 The people at Godiva (pronounced Go-diva, not Go-dive-a) took our weird pronunciation in stride, smiled at us, and had Chef Jean create the most delightful new chocolate to celebrate their 90th anniversary. It is hard to believe it’s been 90 years of Godiva (God-ee-va) chocolate now. From 1926 to this very year, Godiva’s legacy has been built around the story of the Draps family. The Draps family are the ones who started Godiva and whose passion for chocolate remains at the heart of the company right up to this day. In fact at the launch of the new collection for the 90th anniversary, a descendant of Mr & Mrs Draps was present, along with a display of the original moulds and recipes. 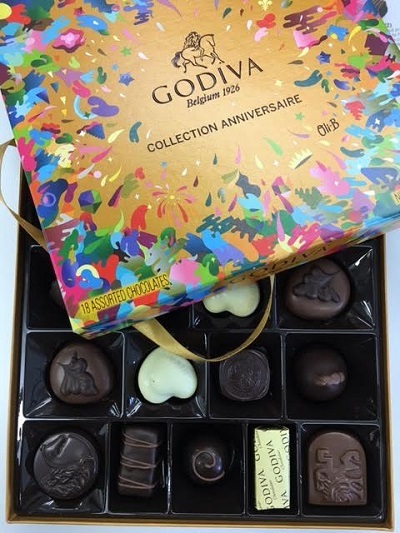 Today, Godiva’s five Belgian-trained Chef Chocolatiers’ continue to innovate with new limited editions and chocolates which are created specifically for their market. 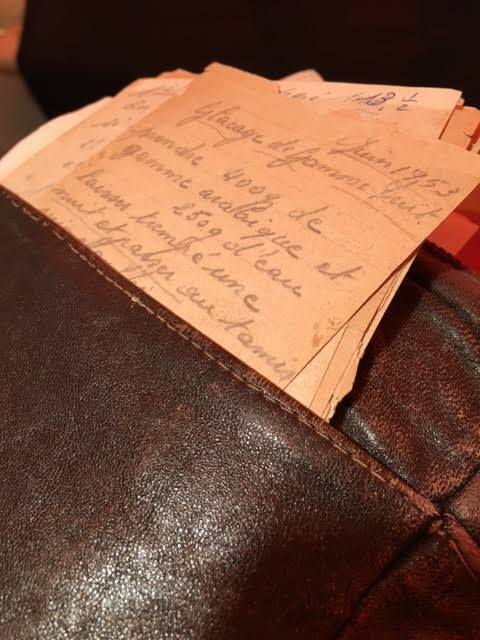 Their pride shines through in everything they do and say – Chef Yannick’s pride at his collection for the Japanese market was evident in his every word. I got a chance to speak to Chef Yannick, the chef from the Far East market who primarily makes chocolate collections for the Japanese market. He explained to me that the Japanese palate is tuned towards less sweet flavours and so he creates chocolates for that market specifically. I have to admit that I feel kind of disappointed that we don’t get them too after tasting my way through the last chef’s collection. All the chefs are creating brilliant stuff and are often given free rein on what they make. The most fascinating talk I had probably was with Head Chef Jean from Belgium about his chocolate, the Godiva collection for the 90th anniversary and how they get their shelf life. I interviewed Chef Jean about his new creation which will become part of the core Godiva (I hope you’re saying God-ee-va now) range. 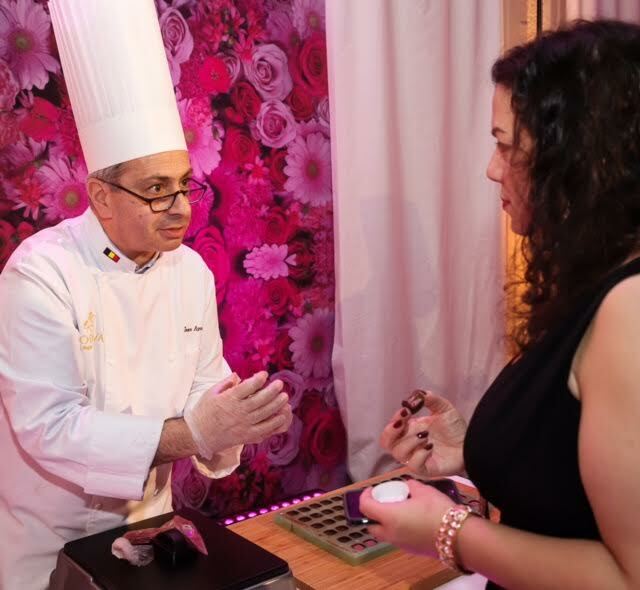 He explained that it combined his Greek heritage and his Belgian upbringing together in a dark chocolate shell with a delicate rose ganache one side and a raspberry ganache on the other. Daring and yet perfect, I expected to hate it and came away loving it. It isn’t a rose cream and has little of the perfume taste, thrust against the dark chocolate shell and tempered by the raspberry. I was surprised to be a firm fan of this chocolate. 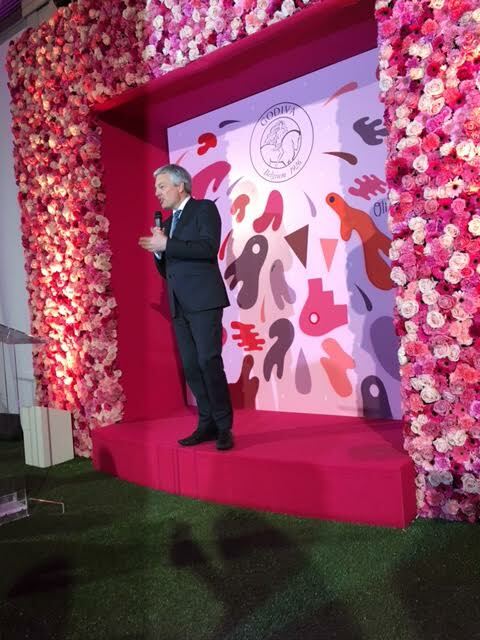 Chef Jean also explained that the shelf life of Godiva chocolate was not due to preservatives or alcohol content which I had simply assumed – it was down to perfectly pure ingredients and controlling the moisture levels. That was a real surprise – a large chain with no preservatives in their chocolate which included cream and butter. Another little known fact is that Godiva makes all their own chocolate from the bean, choosing Ghana among other origins but steering clear (as far as I could tell) from the child slave labour Ivory Coast beans. That’s a major plus for Godiva over a lot of other chocolate manufacturers – no preservatives with ethical beans. No celebration is complete without a gift, and Godiva’s gift to the world is a collection of chocolates with one original recipe from each of the nine decades including Chef Jean’s new signature chocolate to represent the ninth decade – a real honour. In fact apparently every chocolate tells its own story! The ‘Lady Noir’ recreates one of Pierre Draps’ (Godiva’s original head Chocolatier) earliest recipes, while the ‘Signature Lait’ is a velvety coffee ganache, decorated with a feather and created for the movie ‘Gone With The Wind’ in 1939. I had no idea that was what that white kind of leaf thing was! The milk chocolate with liquid caramel one called ‘Ecusson’ has a lion rampant to mark Godiva’s appointment to the Royal Court of Belgium in 1968. Other historical pieces include: the Coeur Blanc (1945), Noblesse (1959), Nippon (1972), Azteque (1992) and Mousse Meringue (2015). It’s an amazing collection and it was all delicious (I did share) and it is available now but only for a limited time. One Response to You’ll Never Believe Who Turned 90 This Year – And We Can’t Pronounce Her Name Correctly! Well, I was one that thought GOD- IVA, so thanks for correcting my pronunciation!